TUESDAY, March 6, 2018 (HealthDay News) -- Few older Americans believe ordering more tests and drugs is the way to better health care, a new survey finds. Of the more than 2,000 respondents aged 50 to 80, just 14 percent thought that "more is better," according to the National Poll on Healthy Aging. 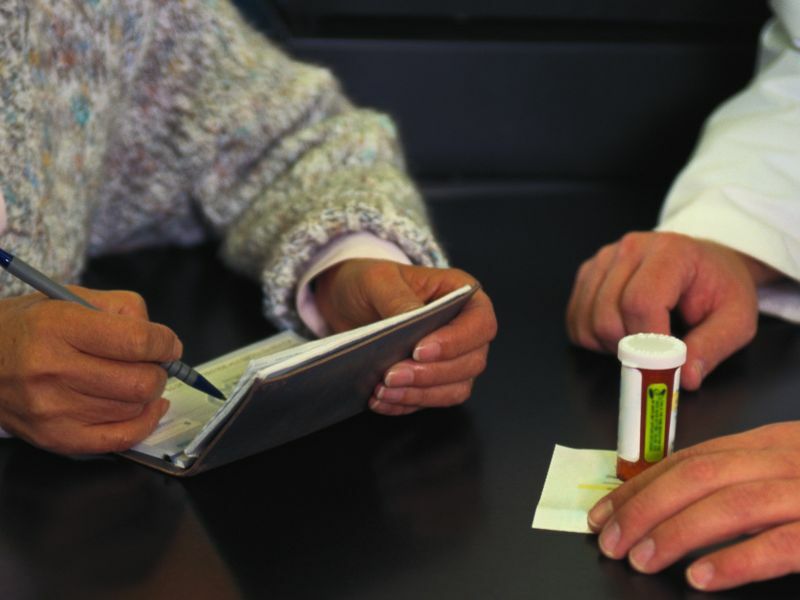 One in four poll participants said their health care providers often order tests or prescribe drugs that aren't necessary. One in six said this had happened to them in the past year. About half said they'd had the test or filled the prescription. However, about 10 percent said their doctor or other health care provider had told them that a test or medication they'd asked for wasn't needed. Most said the provider explained why, but 40 percent didn't completely understand the explanation. The poll was conducted by the University of Michigan Institute for Healthcare Policy and Innovation. It was sponsored by AARP and Michigan Medicine, the university's academic medical center. "The new findings suggest patients and providers need to work together more to prevent overuse of health care services that provide the least value to patients," Dr. Jeffrey Kullgren said in a university news release. He designed the poll and analyzed its results. "Patients should speak up when they aren't sure if a test or medication recommended to them is needed," he said. "And providers need to communicate about how a particular service will -- or will not -- affect the patient's health, both when they're recommending it and when a patient has requested it." Alison Bryant, AARP's senior vice president for research, seemed to agree. "These survey results show us that more attention needs to be focused on improving communication between patients and doctors," Bryant said in the news release. "Encouraging patients and doctors to routinely discuss the need for recommended procedures and medications should help prevent unnecessary treatments and cut health care costs," she said.